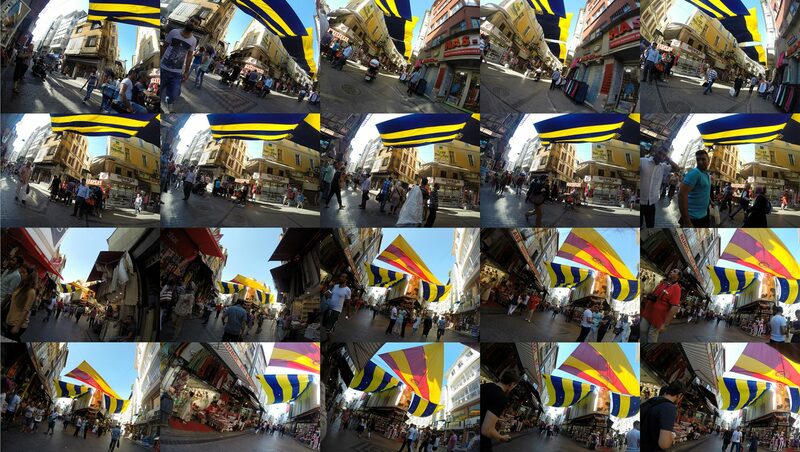 East [hyphen] West maps the shifting sonic and visual landscape of Istanbul shifting sonic and visual landscape of Istanbul at the critical moment in which Erdogan was elected president of Turkey. 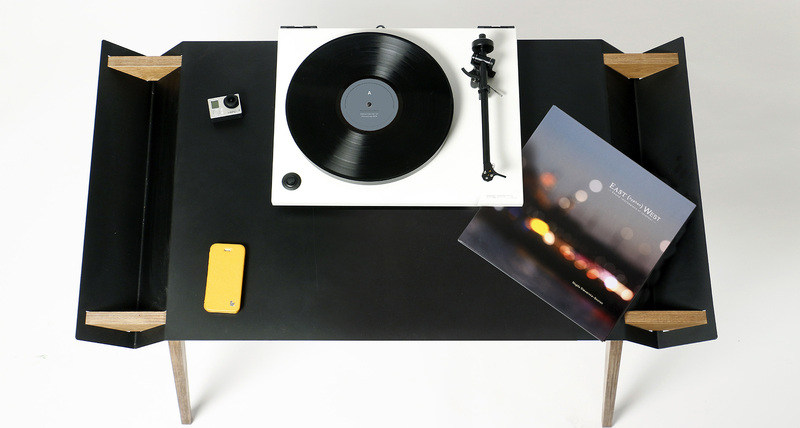 It explores the cultural complexities of a city where the boundaries of ‘West’ and ‘East are reflected in its sights and soundscape. 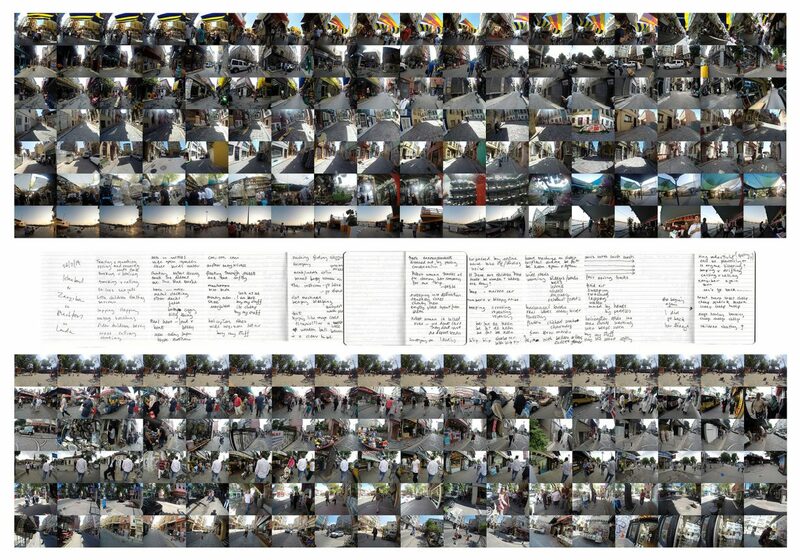 Revealing the city from an intimate viewpoint, audiovisual content is captured by the artist via microphones and a camera attached to her body as she moves through an unfamiliar city. Field recordings combine a macro aural and visual cityscape with micro, sub-aqua sounds and images taken from beneath the Bosporus. 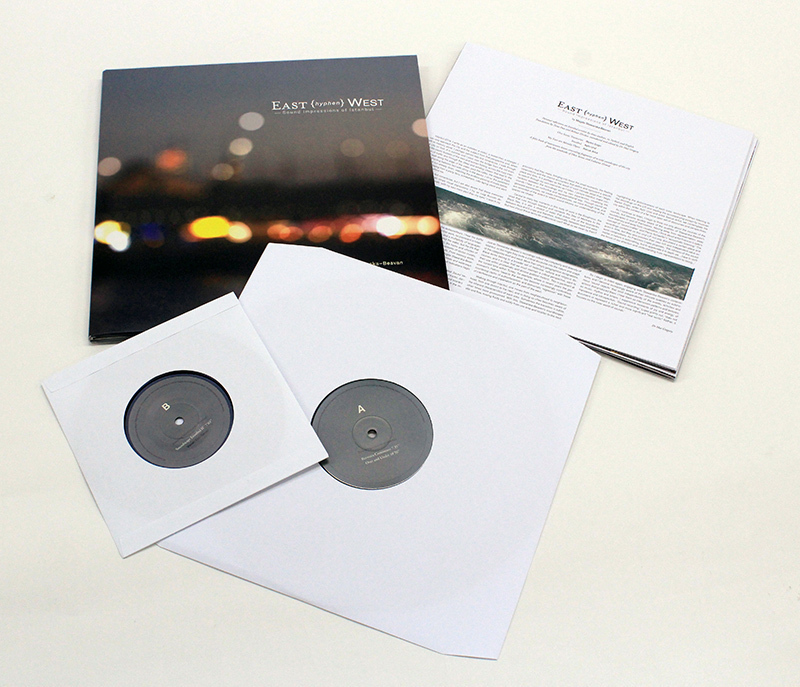 East [hyphen] West; Sound Impressions of Istanbul, it is a double limited edition vinyl recording with artist’s book, introduced and edited by Dr Mat Gregory. The reader is invited to share personal reflections on Istanbul by writers, Barkin Engin, Aylin Unal and Selcuk Artut, translated by Tuna Pase and Behzat Dirker. 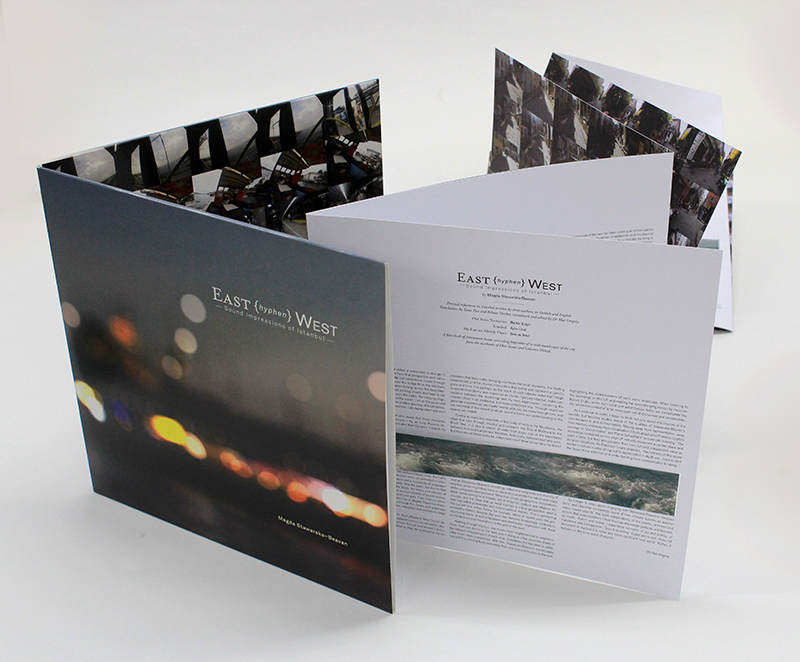 The folio book of interwoven leaves, threaded with images of the Bosporus, conceals fragments of re-told city soundscapes from the notebooks of musician Ekin Sanac and artist Lubaina Himid who responded to the evocative field recordings with text and voice, creating a new narrative layer. A rapidly growing city, Istanbul is continually evolving new connections between the two continents on which it sits. The Marmaray underground rail link opened in October 2013 and a third Bridge, the Yavuz Sultan Selim Bridge is scheduled for imminent completion. For better or worse, trade connections continue to develop across the Bosporus Straight but it is the Sea itself which is the vital connection between two sides of this bifurcated city.